Established in the year 1973, "Hardware & Pneumatics" is a Partnership Firm Registered under Indian Partnership Act 1932 and engaged in trading, wholesaler and exporter a wide assortment of Industrial Pneumatic and Hydraulic Products. Our range of products is procured from registered and authentic vendors of the industry. Moreover, we provide timely delivery also. We lay great emphasis on providing high quality and durable products. To enable that, we handpick our vendors with extreme care, by grading prospective vendors on several parameters before choosing them. Under the supervision and leadership of our mentor "Mr. Mohsin Masalia", we have carved a niche in this competitive world in a short duration of time since our inception. His rich industry experience and vast knowledge of his expertise helps us in achieving the company goals in best possible manner. 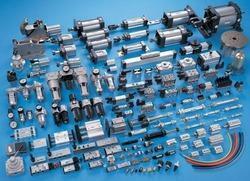 Hardware & Pneumatics offers a durable and excellent range of Industrial Pneumatic and Hydraulic Products. Our vendors manufacture these products in compliance with international standards. 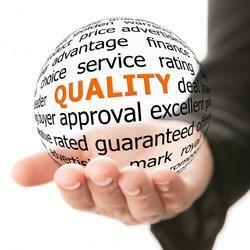 We perform stern quality tests to assure our valuable clientele the quality and excellence of our products. We procure these products from the most reliable vendors of the market. With an aim to render utmost quality products in industry. Our quality checkers sternly pass all the products through distinct quality parameters. We have sourced the range of our products from some genuine and authentic vendors of the industry. Our vendors have made these products in adherence with the international quality standards and norms. The parameters on which our products are tested are high performance, durability, functionality, standard. We, at Hardware & Pneumatics, are enriched with a well-qualified and skilled team of professionals, who help us in dealing and distribution of our vast product range. In addition, our professionals also assist us assembling the valves with exclusive designs and patterns. Due to their painstaking & sincere efforts, we have been able to distribute our valves in compliance with the international quality standards. We have also hired a team of assembling experts who are well versed in their work. These assembling professionals assemble each product with proper care. Further, our products are assembled in a dust free unit, so as to offer moisture & rust free products to the customers. Our team consists of R & D, quality analysts, production engineers, technicians, project managers, sales and marketing professionals. These professionals design the products as per the requirements of clients. Procurement of high grade of raw material. Designing of the products as per the international trends. Development of each product with adherence to quality control measures. Strict quality checks at each level of production process. Extensive research to offer the innovative designs of the hydraulic valves and assemblies. Quality testing for each of the products. Safe packaging of the products. Timely delivery of the consignments with trained professionals. Our professionals perform all the tasks according to the quality control measures. 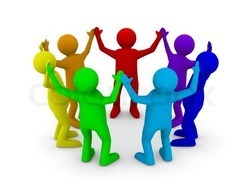 Moreover, the entire team works in close coordination, friendly atmosphere and harmony with each other. To meet the variegated demands and requirements of the clients is the very first priority of our company that make us first choice of the clients. With the help of our well equipped and ultramodern infrastructure facilities and well trained professionals, we are able to cater the various needs of the clients in best manner. Moreover, we follow ethical business policies and transparent dealing that is required in making the harmonious relations with the clients. We are the most important link between our vendors and esteemed clientele. Our vendors provide us an impeccable array of industrial pneumatic and hydraulic products which enable us to gratify the growing demands of our clientele. 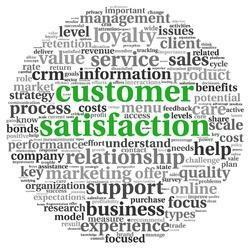 Our vendors are selected after long analysis as we don’t want any flaw in the products provided by us. We are among the leading companies in the world, engaged in serving the clients with qualitative range of products. The range of our product is widely demanded and appreciated by the clients for their smooth finishing, rugged designs, accurate dimensions, longevity, feasible rates and sturdy nature. We also offer our clients the facility of timely delivery that makes us the first preference of the clients.